Bring style to your wall space. 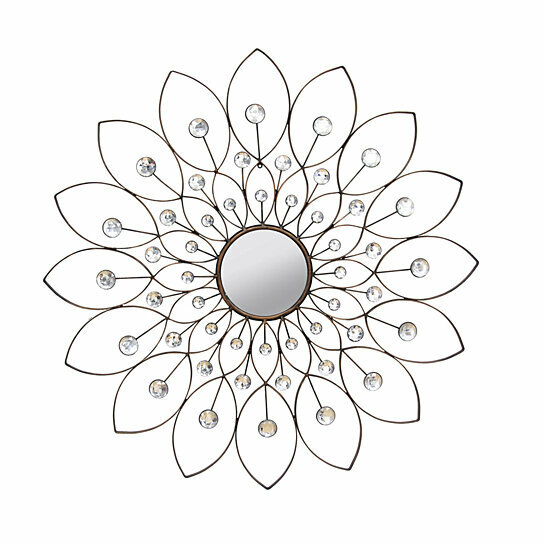 This gorgeous circular mirror is surrounded by a floral design made of metal in a bronze finish. Its petals are cutout wire with rhinestone accents for added shine. An attached keyhole makes hanging it on a wall simple. Place in any room to instantly add personality to empty wall areas.